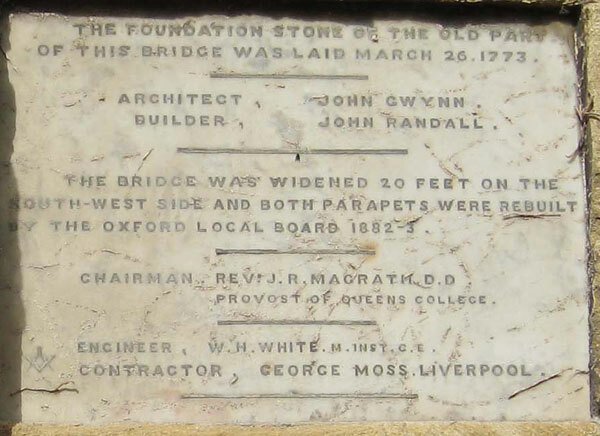 OF THIS BRIDGE WAS LAID MARCH 26, 1773. CHAIRMAN, REV. J. R. MAGRATH, D.D. ENGINEER, W. H WHITE M.INST.C.E. 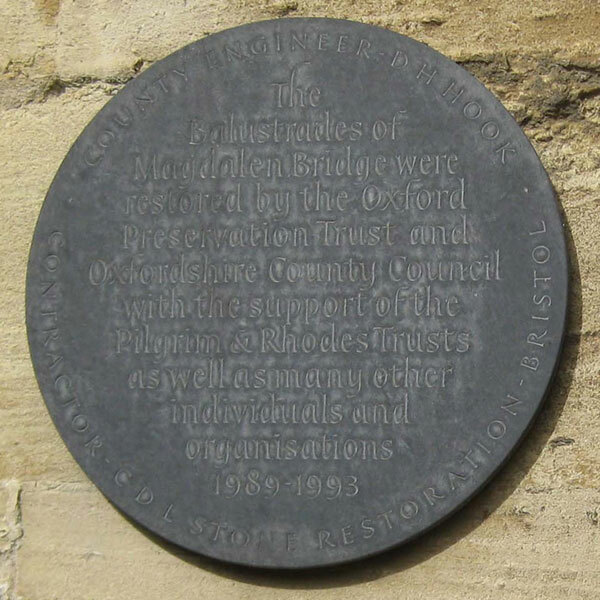 The above stone, which can be seen from the area in front of the Botanic Garden, must date from 1883, and commemorates both the rebuilding of Magdalen Bridge in 1773, and the widening of the bridge a hundred years later in 1882–3. 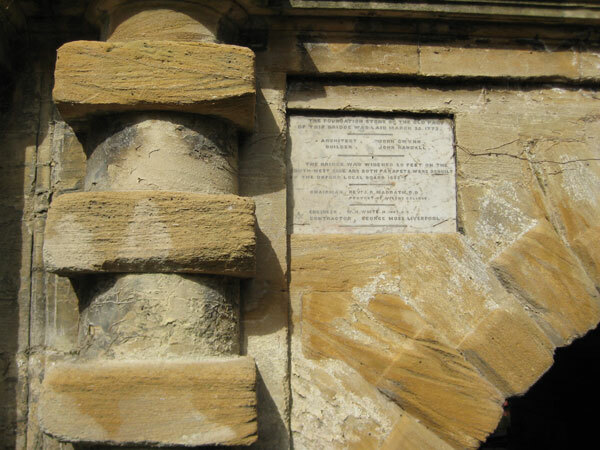 Right: The stone in context. Left: The nearby circular plaque commemorates the restoration of the balustrades of the bridge in 1989–1993.